Just-appointed lead analyst for the firm’s Arch Collaborative says hospital culture is the most important aspect of making EMR use work well. Looking for a fresh perspective on electronic health record usability and optimization? Here it comes. “Hospitals can make any EMR work if they put the right governance, customization and education in place,” said Mike Davis, who research firm KLAS on Thursday signed up as Lead Analyst for its Arch Collaborative. 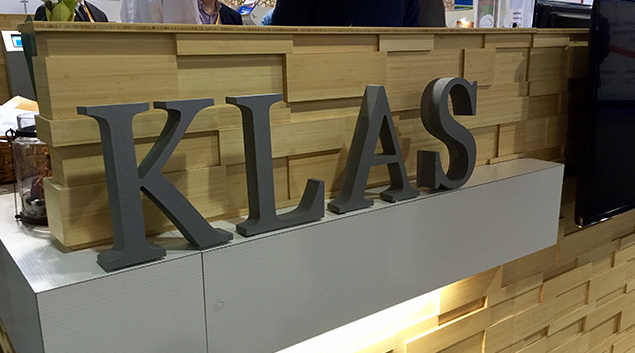 Davis, a co-creator of HIMSS Analytics EMR Adoption Model known as EMRAM, said KLAS facilitates the Arch Collaborative to pinpoint real-world issues regarding physician workflow, practices and inefficiencies. KLAS outlines those three keys to success in a new report, Creating the EMR Advantage. The educational aspects include initial and ongoing training, beginning with having clinicians spend 6 or more hours in classes and they really should be led by other clinicians, rather than online or even live specialists who know the software well but might not understand how doctors actually work. Whether called personalization or software customization, this aspect is important because well-optimized EHRs are not one-size-fits-all. Oncologists, for instance, do not work the same way as emergency department doctors do. Davis added that it’s not uncommon for hospitals to inhibit any kind of personalization because it makes supporting the software program more difficult. And then there’s culture. One of the more significant lessons Davis said the Collaborative has learned in conducting research with 19,000 responses is that culture has a bigger impact on EMR success than the actual EMR itself. “Organizations that succeed have cultures that want to ensure they’re doing what they can to optimize EHR use,” Davis said. The Arch Collaborative aims to help participating members gain that level of understanding. The Arch Collaborative, which includes some 55 participants, notably Allina Health, John Muir Health, Kaiser Permanente, Mayo Clinic, UC San Diego, and Tufts Medical Center, among others, began in 2016. Davis explained how it all works. Any big clinic, hospital or EHR vendor is invited to participate. In the first step, KLAS will conduct an initial survey free-of-charge. That essentially helps providers reach a certain level of participation. Then once the survey closes, the ARCH Collaborative goes through and analyzes the data to look at physician satisfaction, governance, training. From there, they create a PowerPoint (they usually include about 115 slides), suggesting minor modifications to the 3 keys to success in education, personalization/software customization and culture. Hospitals that choose to join the Arch Collaborative, in turn, receive a formal report. Davis said that so far more than 70 organizations are in this process, while about 30 have completed it gotten the formalized report. Davis added that the research the collaborative is undertaking will help it draw out best practices for optimizing and using EHRs to deliver on their promise and meet the needs of clinicians. And with organization in the United Kingdom and Australia also participating, he said they are aiming for a global view.